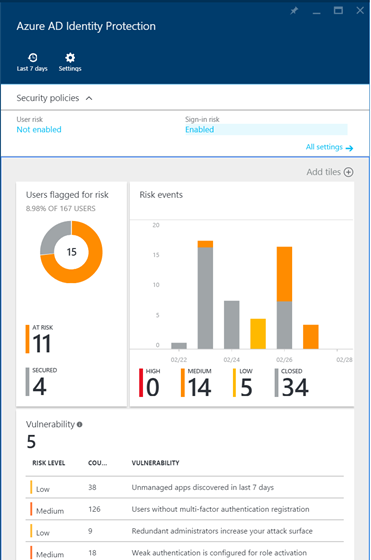 Azure Active Directory Identity Protection is in public preview. Identity Protection is a new feature of Azure AD that gives organizations around the world a previously unavailable level of security for their cloud identities. Detection of identity-based security issues using our signals intelligence, experience, and algorithms. Support investigation of risk events and users flagged for risk. Support for in-line remediation and management of risk events.